We’re on a mission to warmer climates, specifically Arizona. The temperatures were just shy of 100°F today in Phoenix. 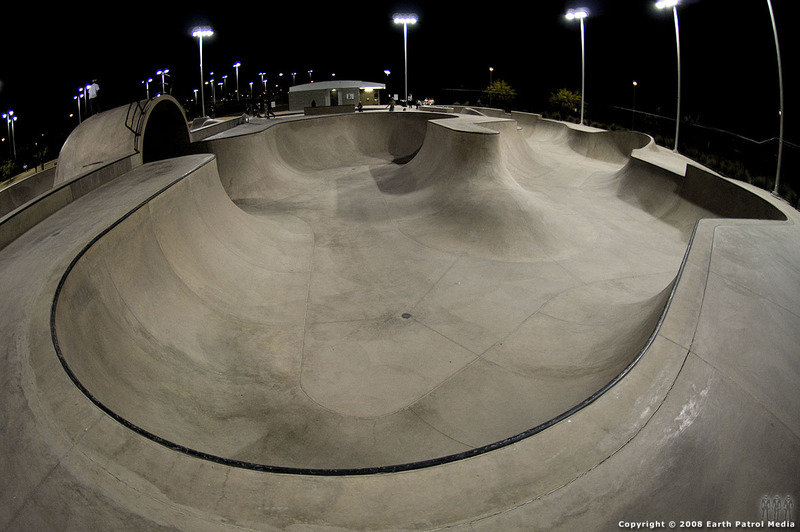 So we opted for an early evening session at Goodyear Skatepark. This park is fun and the closest thing we’ve found to Northwest ‘crete stylings. Click on the above pic for a large view. 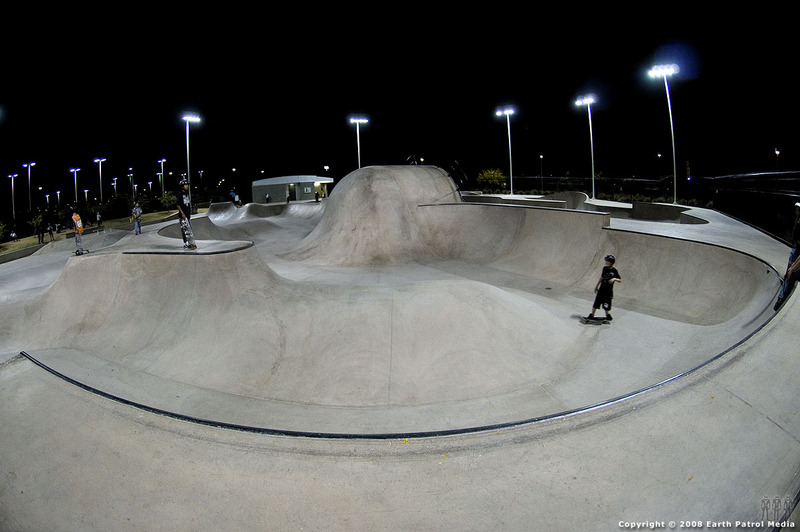 Check out a few more snaps of the park after the turn. 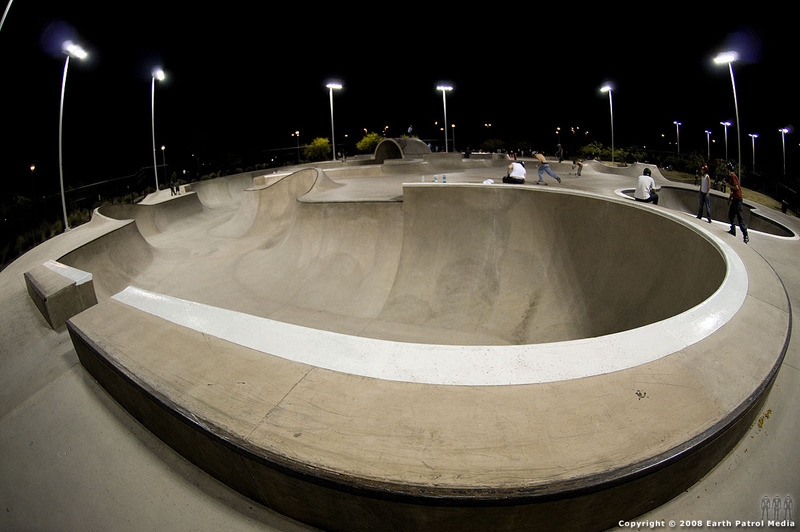 Goodyear is a big improvement on the other Phoenix-area parks, in my opinion. 100°?! No waterfalls?! Post a shot of that bowl with the back of the capsule. Hope you’re having fun. We had a nice weekend but back to rain today. 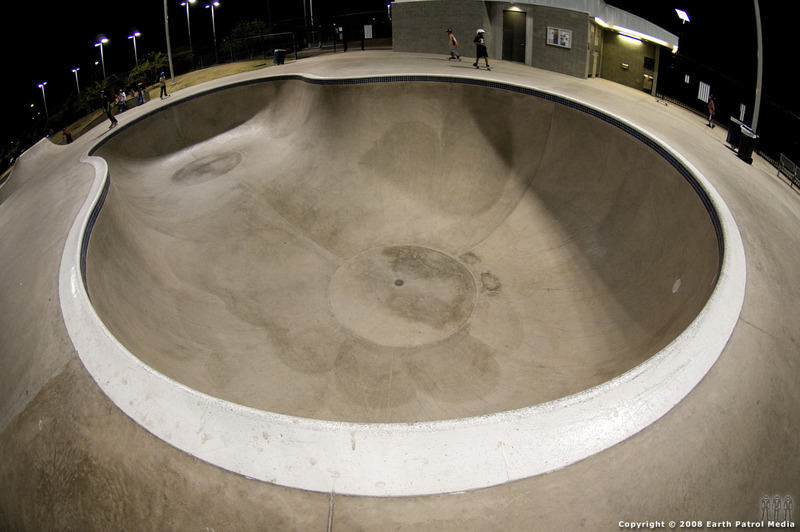 No waterfalls in my bowl at Pier or at Battleground either now that I think about it.